For those interested in complimentary training opportunities CrossFit MKG is located inside the world famous MKG Martial Arts International 24,000 square foot facility. Below is the explanation for the Adult Martial Arts program taken from the MKG Seattle website. rts without the limitations of boredom in our safe, friendly, high energy environment. We emphasize training that is enjoyable and yet contains the best and most practical methods available. From day one you will be hitting pads and learning to react to attacks in effective ways. The training is designed to be safe yet realistic. We will get you in great shape as you learn new skills. At MKG Martial Arts we specialize in a signature method of martial arts cross training we have titled: True MMA: The MKG Mixed Arts Phase Program that is a logical and progressive blend of all the arts we teach. 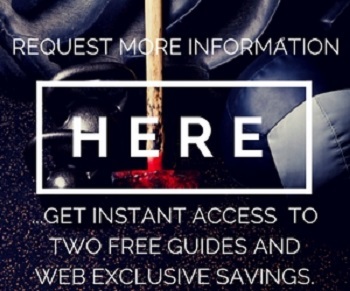 We highly recommend you participate in the Phase Program but individual Muay Thai Kickboxing, boxing, Brazilian Jiu-Jitsu, Filipino Kali / Arnis / Escrima, Jun Fan JKD, Silat, Savate and an MMA method called Combat Submission Wrestling are offered as well. No matter what your interest may be – martial arts, fitness, self-defense or stress reduction – our programs and classes focus on personal improvement at your own pace, with the support you need to reach your goals. No traditional uniforms, no ritual, no weirdness. Just great training with great people. We also offer fantastic programs for kids of all ages as well as the MKG MAX10 Kickboxing Boot Camp, formerly 10 Week Body Sculpt Challenge, for the fitness enthusiast and our newest offering; CrossFit at MKG. If you’ve been thinking about trying kickboxing or martial arts we’ve taken away all the excuses. Schedule your FREE trial program today by filling out the form below or calling 206-789-2411. 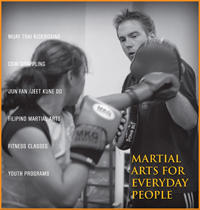 Visit the Martial Arts homepage here for more information.